As Operations Manager, Luca coordinates the installation and operation of our off-grid hybrid plants, as well as the O&M of our grid connected installations. Luca has a diverse professional background, ranging from management consulting in IT, to leading research on renewable energy management and waste-to-energy projects. He spearheaded some cutting edge projects in the wealth management industry and he published several papers on advanced energy conversion technologies on international journals. His extensive and varied experience puts him in a unique position to orchestrate our data driven operation, with special focus on both high-level innovation and high-end service provision. 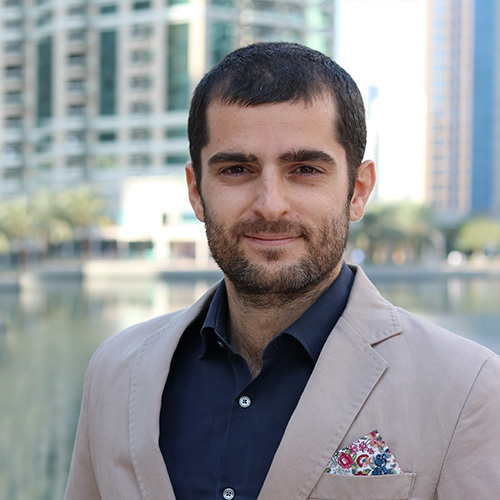 Luca holds a master’s degree in computer engineering from Politecnico di Milano and a master’s degree in mechanical engineering from Masdar Institute of Science and Technology (currently part of Khalifa university).